Summer and winter our eyes had rested on the dim outline of the mountains in our horizon, to which distance and indistinctness lent a grandeur not their own, so that they served equally to interpret all the allusions of poets and travelers; whether with Homer, on a spring morning, we sat down on the many-peaked Olympus, or with Virgil and his compeers roamed the Etrurian and Thessalian hills, or with Humboldt measured the more modern Andes and Teneriffe, "A Walk to Wachusett." Explore the Museum of Science (formerly the Boston Natural History Society). 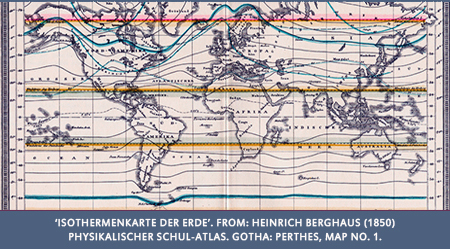 Learn more about historical maps at the David Rumsey Map Collection. 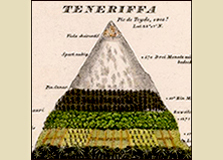 Explore the Humboldt's life and works at the Humboldt Digital Library. Learn more about Humboldt in our time. 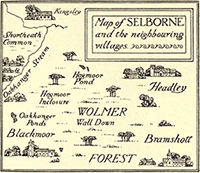 Read White's Natural History of Selborne at the Biodiversity Heritage Library. 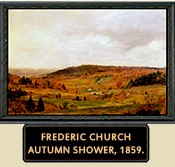 Learn more about Thoreau's fellow Humboldtian Frederic Church. In his eulogy at Thoreau's funeral in Concord in 1862, in a line that was omitted from his published remembrance, Emerson singled out three men who had deeply impressed his late friend: the abolitionist martyr John Brown, the poet Walt Whitman, and Penobscot wilderness guide and tribal leader Joe Polis. To this list, Emerson might have added—along with Samuel de Champlain—Alexander von Humboldt, who was widely regarded as the world's foremost 'man of science' during the first half of the nineteenth century. As Champlain had before him, Humboldt traveled the world to gather facts about a dizzying array of natural phenomena, "so that," as Emerson remarked, "a university, a whole French Academy travelled in his shoes." 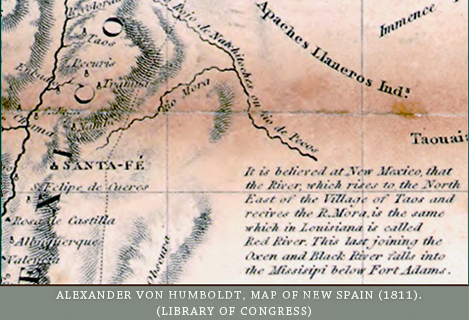 And Humboldt's works were, as Thoreau characterized Champlain's maps,"crowded with information, geographical, ethnographical, zoological, and botanical." 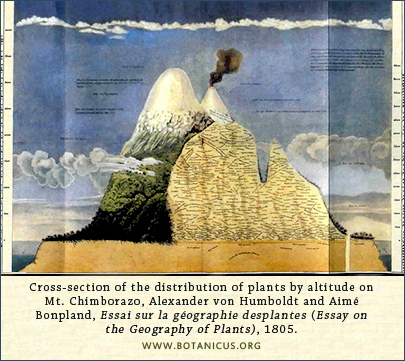 "Humboldt was perhaps most famous for his 1802 ascent of Ecuador’s Chimborazo, then thought to be the highest mountain in the world. 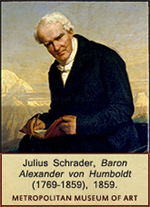 Afterward, Humboldt developed his insight that vertical elevation correlated closely with global climate zones, from the equator to the poles: in climbing a single tropical mountain from base to alpine heights, he had in effect walked from the torrid equatorial tropics to frigid arctic ice. He portrayed his insight in a famous image of Chimborazo belted with the earth’s climate zones, an image that was copied for generations in popular geography texts and that captured the imagination of many in Thoreau’s day." "In his 1844 essay “The Poet,” Emerson used it as a figure for the highest poetic achievement: as he wrote, the true poet stands “out of our limitations, like a Chimborazo under the line, running up from the torrid base through all the climates of the globe, with belts of the herbage of every latitude on his high and mottled sides.”"
Commenting on one of the famous maps that Humboldt produced from his travels in the New World, Walls observes, "Humboldt shared a draft of his map of New Spain with President Jefferson in 1804. 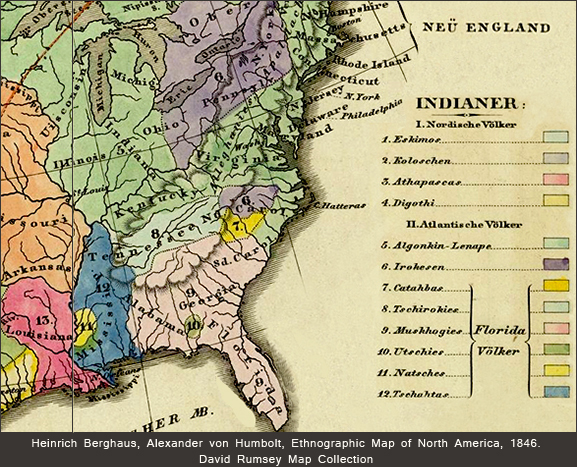 This map, which included what is today the American West from Texas to California and north to Colorado and Wyoming, shows two of his signature techniques: his innovative use of hachure lines to give an impression of spatial depth to the landscape, and his interspersed commentaries noting a range of cultural and geographic information, including Native American place names and tribal territories, facts gleaned from earlier explorers, and unresolved questions." "This area was originally part of the northern half of Mexico, which the U.S. annexed to its own territory in 1848 at the conclusion of the Mexican War. Thoreau registered his protest against this war in “Resistance to Civil Government,” published a year later. In his own surveys, Thoreau inserted similar annotations, although in the final versions these asides often had to be eliminated." "By 1853, Thoreau’s scientific interests attracted the attention of the new American Association for the Advancement of Science, who invited him to become a member. Thoreau, who famously refused to join any society whatsoever, respectfully declined. However, his reply is revealing, for he explains that “the character of my observations, so far as they are scientific, may be inferred from the fact that I am especially attracted by such books of science as White’s Selborne and Humboldt’s ‘Aspects of Nature.’” Gilbert White’s charming classic Natural History of Selborne was even then quite old-fashioned, but Humboldt’s popular book (also translated as Views of Nature) was brand new; in it, Humboldt presented his scientific theories in a series of brilliant nature essays that blended poetry and fact to dramatize some of the eras’s most exciting scientific theories and questions." "This book, and Humboldt’s other best-selling work Cosmos, helped Thoreau see that his fascination with such questions as the geographical and ecological distribution of plants and animals, their relation to human culture, and the relation of seasonal changes to climate change and evolutionary development, were of real and pressing scientific importance. These were the very topics Thoreau spent the last twelve years of his life investigating." 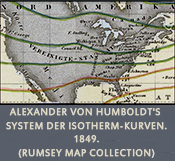 Explore Humboldt's contributions to understanding climate change.